Attorney General Martha Coakley filed suit against a for-profit career training school, alleging that the Framingham company falsified grades and attendance records to qualify for millions of dollars in federal aid. The Career Institute enrolled students who weren’t qualified to attend, failed to provide them with an education, and left them with significant student loan debt, Coakley alleged in the lawsuit, filed in Suffolk Superior Court. The Career Institute, which operated five Massachusetts and three Maryland campuses, abruptly closed earlier this year without refunding the tuition of 1,400 Massachusetts students — even though it paid full salaries to the school’s president and officers, according to court documents. The lawsuit is part of a wider investigation by Coakley into for-profit colleges and trade schools. These schools have come under greater scrutiny nationwide following the recession as workers struggling to find jobs seek degrees or new skills to improve their chances of getting work. But critics say the schools too often promise well-paying and fulfilling careers but leave students in debt and without jobs. 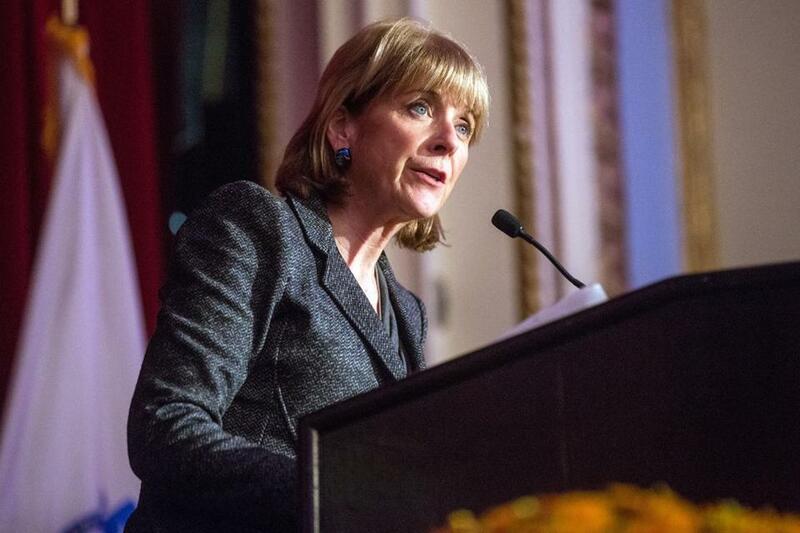 Coakley is seeking a return of tuition and fees to Career Institute students. She also proposed new state regulations that would prohibit for-profit schools from aggressive sale tactics, such as repeated solicitations through phone calls and text messages, and require them to disclose their tuition and fees, placement statistics, and graduation rates in their advertising. The Career Institute, which operated as American Career Institute, closed its doors in January. Andree Fontaine, the president of the school and a Weston resident, at the time said that it had run out of money and its lender had closed the school’s line of credit. Since the school closed, officials have cooperated with Coakley’s office, said David Thomas, a lawyer for the institute. But, according to court documents, Fontaine pressured the school’s employees to enroll as many students as possible. One former employee said, “If the student had a heartbeat and they could sign their signature and get approved for a loan, they were accepted students,” according to the lawsuit. The school received $30 million in federal government funding during fiscal 2012, accounting for about 89 percent of its revenue. A one-year certificate program in digital multimedia design at the school could cost a student more than $23,000, much of it paid for through loans, according to Coakley. But to receive student loan money, the American Career Institute had to be accredited and prove that its students regularly attended classes and could complete the coursework. Fontaine and the director of the Braintree campus pressured instructors to inflate student grades to get them to complete the courses and falsify attendance records to meet accreditation standards, Coakley alleged in the lawsuit. Before a reaccreditation audit of the Braintree campus in 2012, school employees “were there around the clock changing documents,” an employee told investigators, according to court documents. The action against American Career Institute is the second case Coakley has brought against the for-profit education industry. In October, Sullivan & Cogliano Training Centers Inc., a career school based in Brockton, agreed to pay $425,000 to settle allegations that it had misled students about its job placement numbers.